Having a good pair of walking boots is very important to me. I have Hypermobility which means my joint are more flexible than normal. Sadly my girls have inherited it too so we have to make sure their feet are supported. 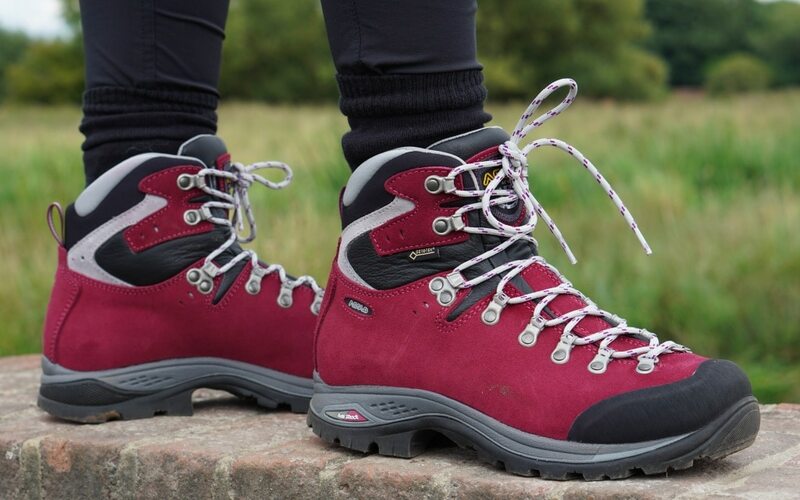 I have been kindly sent a really lovely pair of Asolo Greenwood GTX walking boots to try out from Simply Hike, who have a store based in Faversham, Kent but have been running their website Simply Scuba since 1996. Then branching out to Simply Hike in 2006, offering hiking and outdoor clothing for all your hiking needs. I am very fussy with my walking boots and only make sure I am wearing good quality ones. 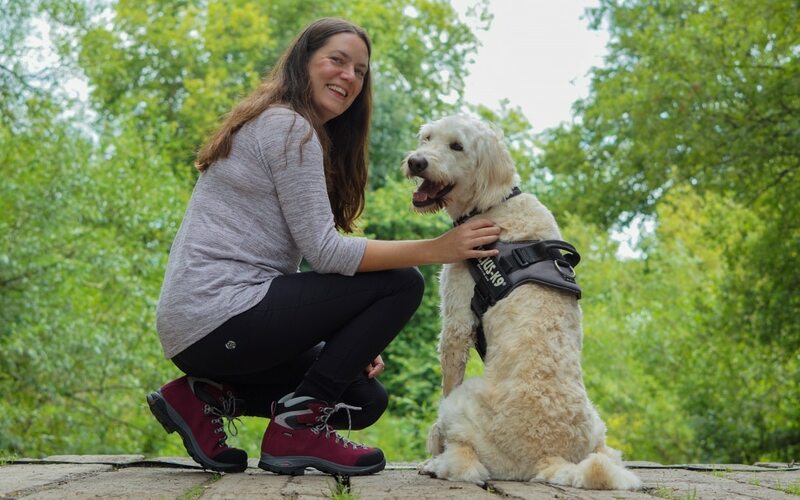 So I thought I would share with you the reasons why I love my walking boots and what I look for in a pair of walking boots. When first looking for a pair of walking boots I will narrow it down straight away to the boots with Vibram soles. My Sister who is also into her walking said to me when I was looking for my first pair of proper walking boots that you need to look for the little yellow badge on the boots. Once you know about it you cannot miss it! It has a sad story behind it as in 1935 the death of six mountaineering friends was partly blamed on footwear that wasn’t up to the job. So a man called Bramani developed a new climbing sole. The sole was designed to provide traction on a range of surfaces, a high degree of abrasion resistance and made using the latest vulcanized rubber at the time. In 1954, the first successful ascent to the summit of K2 was made by an Italian expedition wearing Vibram rubber on their soles. Ankle support is a must for me, I need a pair of walking boots that come up high enough to wrap around my ankle. However this isn’t just for people with more flexible joints. 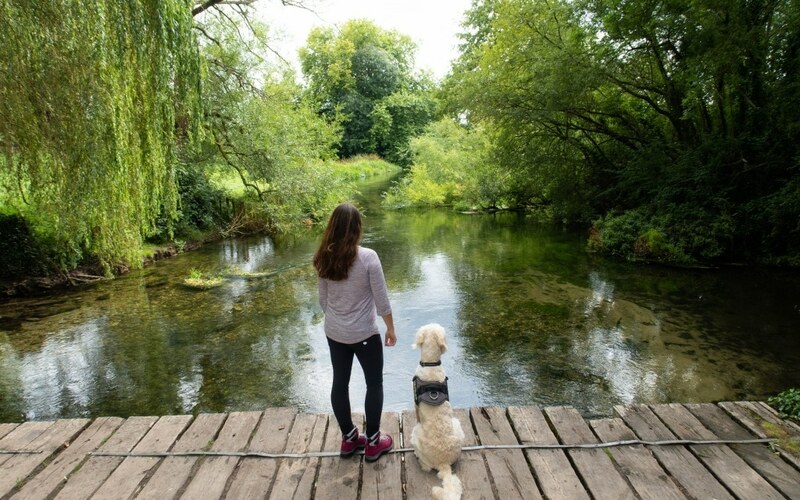 A better ankle support allows you to walk on really uneven grounds much easier and without so much risk of losing your balance. I notice when I walk places without my boots my ankle goes over so much easier. Last thing I want when out walking is a twisted ankle! 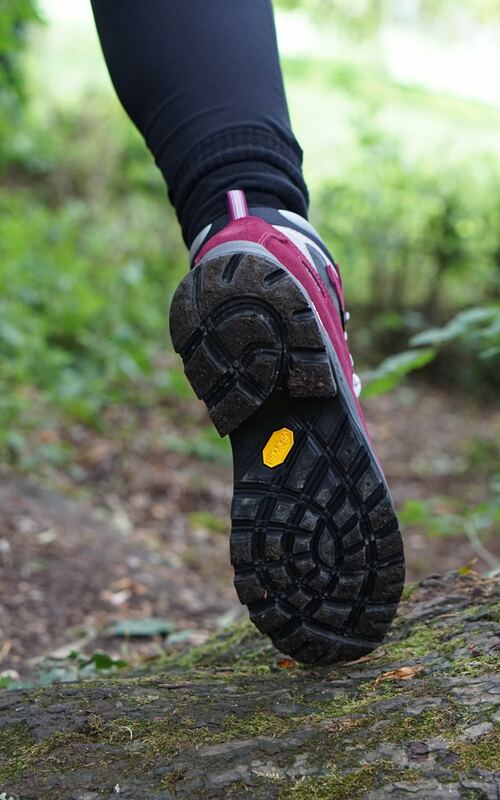 By having Vibram soles you are getting fantastic sole support, protecting your feet with more stability, traction and pressure from rocky conditions. With deep self-cleaning lugs you aren’t going to get a constant big build up mud in the soles either. I had a back operation in October last year and I always worry that I could slip and fall, but having decent soles and grip makes me feel a lot happier. I put these walking boots to the test by going down a steep stony slope and they performed brilliantly! Funny enough laces play a big part in walking boots! So do look at the quality of the laces, how many loops holes there is and is there many extra loop hooks at the top. Use these to pull the walking boots in around your ankles to make sure your boots aren’t slipping. 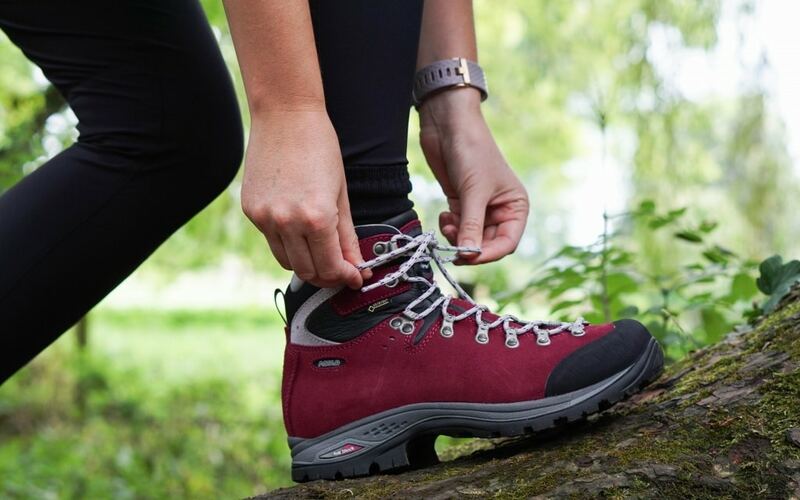 The Asolo Greenwood GTX walking boots have a water resistant leather upper and a Gore-Tex™ waterproofing in the lining which helps keep your feet dry but also a breathable membrane to make sure you don’t overheat! Also the tongue tucks nicely into the boot keeping out water from here too . OK I am a girly and I do love to be a little different, so when I saw these walking boots came in a grape purple colour I was pretty pleased! Not only are they functional for me they’re pretty too!!! 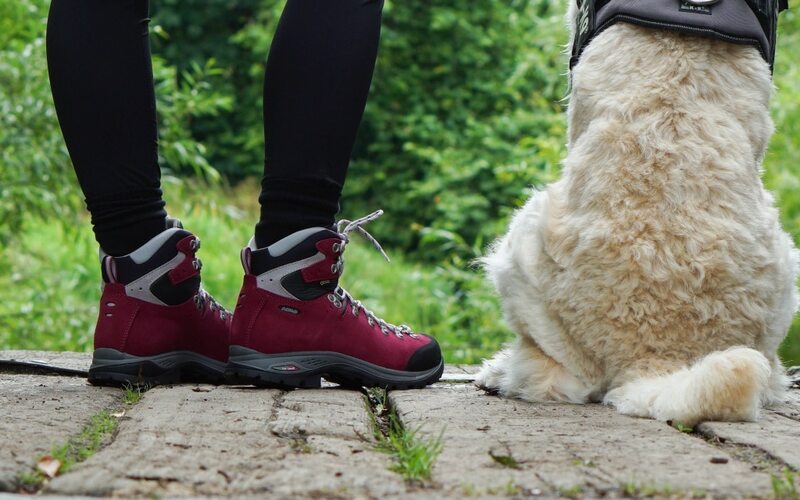 These boots are on the expensive end for walking boots, priced at around £171 (time of writing) however you will have them for years and years. They’re fantastic quality, with top quality Vibram soles and I know I will be wearing these for many years to come. 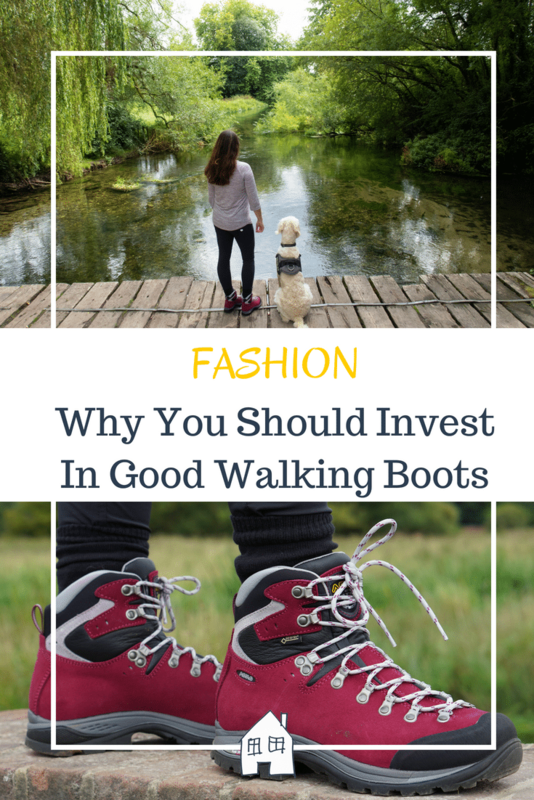 So Why Do I Love My Walking Boots? That’s why! Giving us the freedom to be able to explore places knowing that I won’t be held back due to my footwear and I can enjoy my walks. 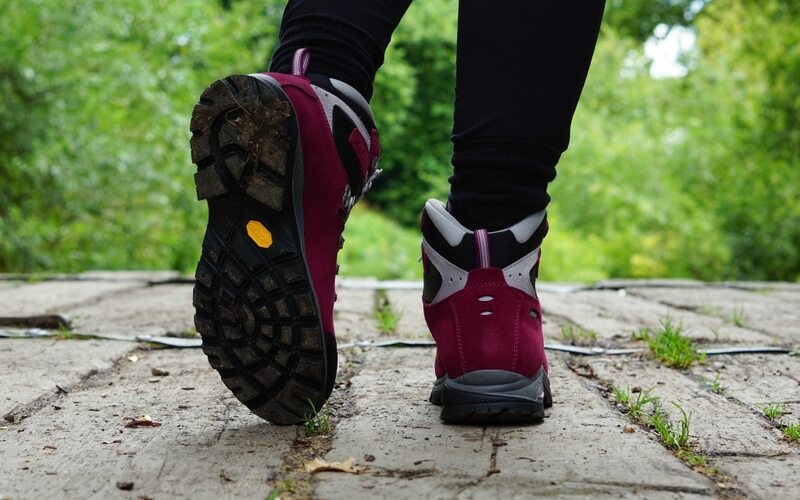 * I was sent the Asolo Greenwood GTX Walking Boots for the purpose of this review, however all opinions are honest and of my own. Off to Scotland so they will be well and truly put to the test! Oh no, I happily will buy cheap things but not when it comes to shoes. I have had so many failed purchases of cheap shoes and sore feet! These look super comfy. In love the colour. Comfort is everything when your a mum and do a lot of walking. We love the peak district so these would be great. Such a pretty colour aren’t they, you don’t often get decent boots in a colour! I have never visited the Peak District before, on my list though! I do like a good supportive pair of walking boots. I have a weak ankle which i go over on easily if i’m not careful. These look like a decent study pair of boots that i could do with when we go out for walks. Ahh perfect I was looking for a new pair of walking boots after my old ones, which I had for 15 years, fell apart. But they always gave me blisters so looking for much more comfortable ones this time. They were gor-tex lined so were great for hiking through mud and water!! That’s brilliant lasting 15 years isn’t it, I think these would last that long too they’re so solid! They’re a great looking pair of walking boots. I never knew about the yellow label on the soles but I’ll be looking out for it now. I also go for Gor-tex as I hate wet feet when walking. You won’t miss the little yellow label now! 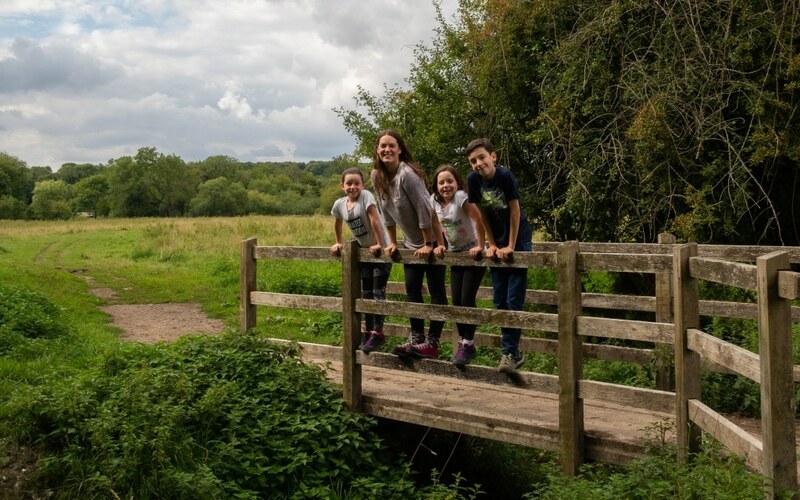 I need to invest in some decent walking boots for the school run – sounds excessive but I have weak ankles and shin splints. Also during the winter months get chilblains. I’ll look for a pair with the little yellow mark. Oh yes do make sure you look after your feet, shin splints are very painful aren’t they.